When we get to the depths of winter it is time to clean up the shop and get some projects completed. The wind blows cold and even this year, when we are having a record snow drought, it is not possible to spend all day outdoors. The wood stove and a cup of tea are just too inviting. I came back from a run at dawn today with my beard encased in ice and even the sweat that made its way through my mittens was frozen against the wool. 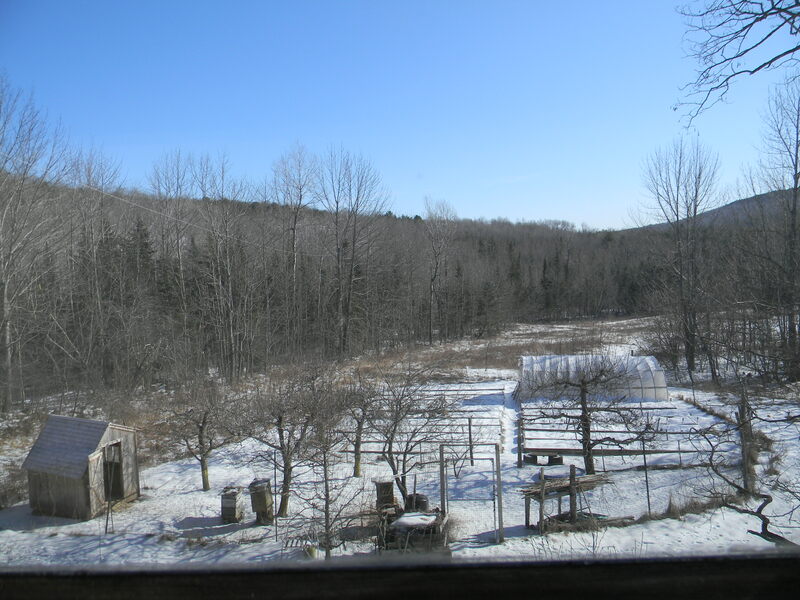 Even though it is a clear blue day and it looks great out the window, I don’t mind being inside. 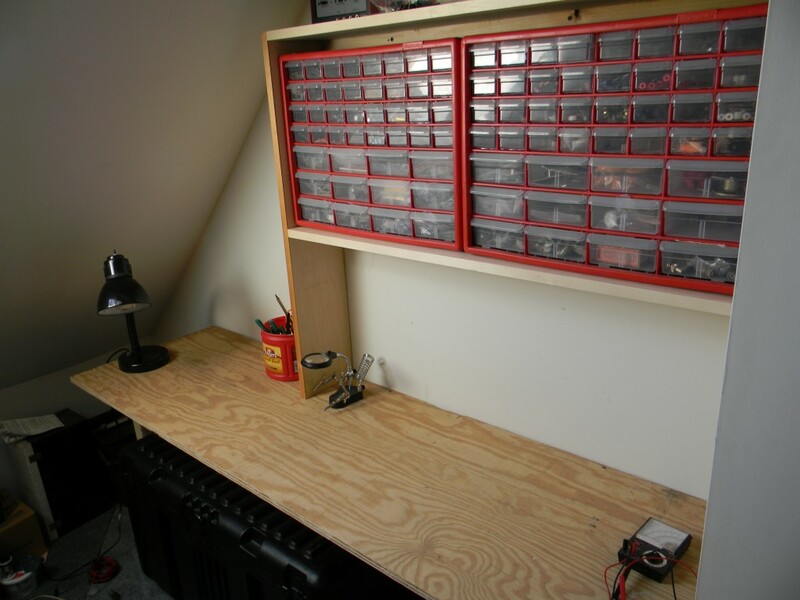 I built a workbench for the ham shack last week and yesterday finished shelves to leave me with more working surface. 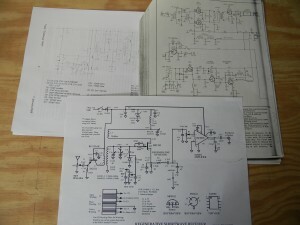 Many radio projects don’t take up much room but space is needed to lay out the parts, tools, and test equipment. I have been thinking about my next radio project for weeks. 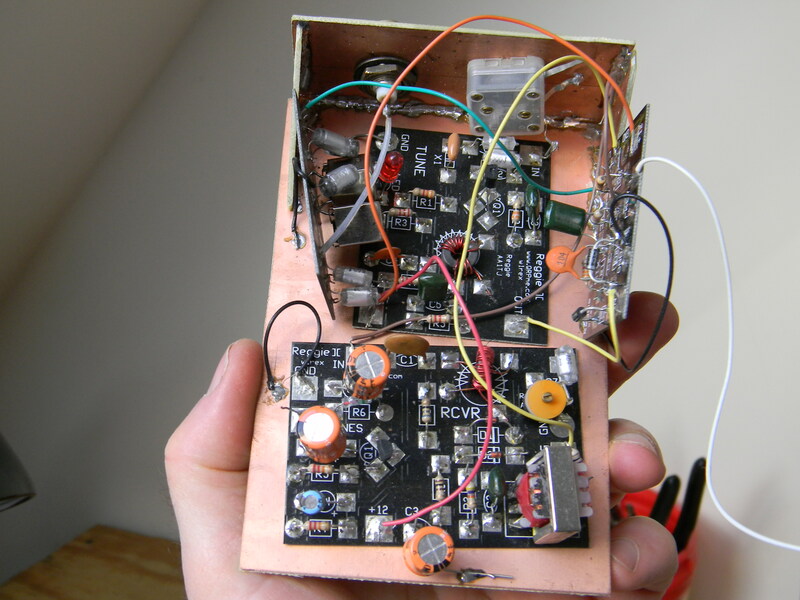 I like building small low-power transmitters and simple receivers. Mostly I have used kits with all the needed parts and pieces. This year I am going to build totally from scratch. The new work area is a part the plan. All my parts are arranged now in storage bins above the work surface. That makes them handy and keeps things orderly. 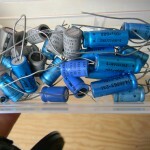 Looking over my inventory I realized that I have plenty of components salvaged from old equipment or surplus. Junk to many people I would hazard to guess. Now, I realize that quite a bit of it is junk to me too! Useful junk nonetheless. 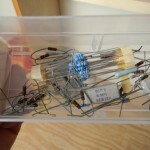 The Ellsworth Amateur Radio Association members have been recipients of my paring down of the electronic junk. 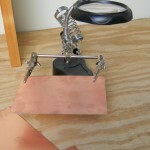 Much of it is good workable stuff if you have the right need. 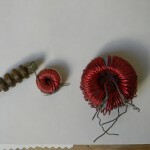 I realized that after being into ham radio for 40 years, there are some things that I can now live without. Of course I don’t have everything I need, so last week I ordered an assortment of components that will be required for the new electronics projects. 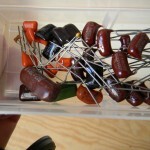 Some were amazingly cheap like 100 transistors for a few dollars. Alas, even an assortment of great deals adds up to quite a few dollars. So what is next? I will start with a schematic diagram of the project that shows all the components needed and how they are connected together. 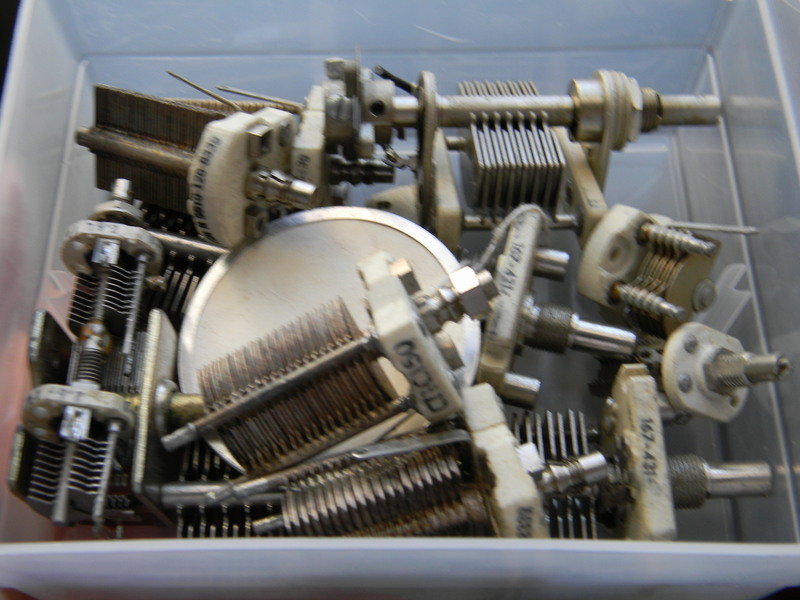 I then will go through the drawers of parts and find the correct items. 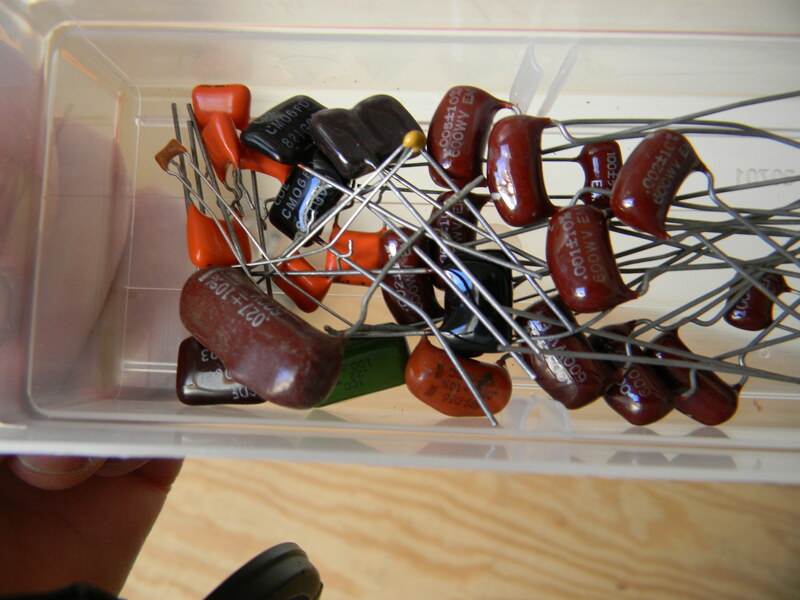 This is lots of fun because many parts like resistors have color codes to indicate their values. 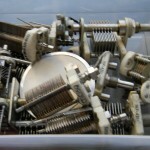 Some of these component parts are pictured below. 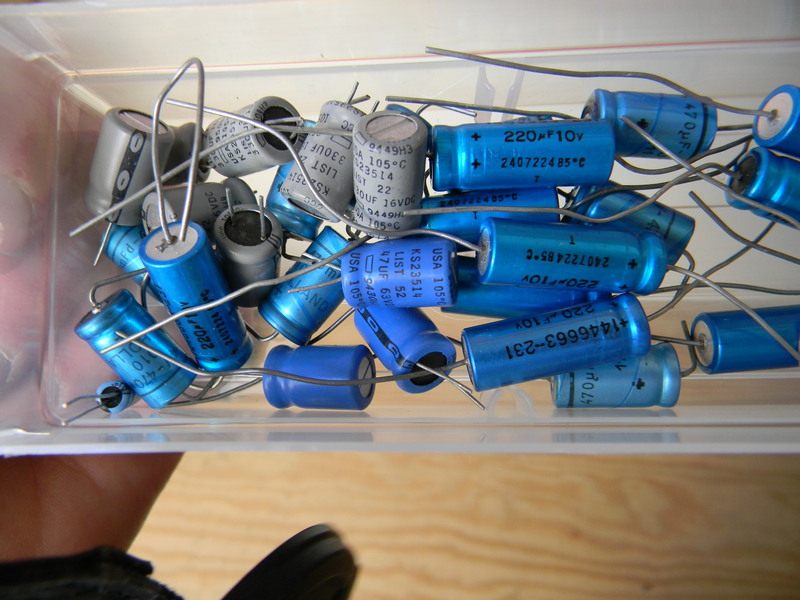 I will also use capacitors that come as electrolytics (blue colored here), dipped mica (brown), or all metal variable capacitors. 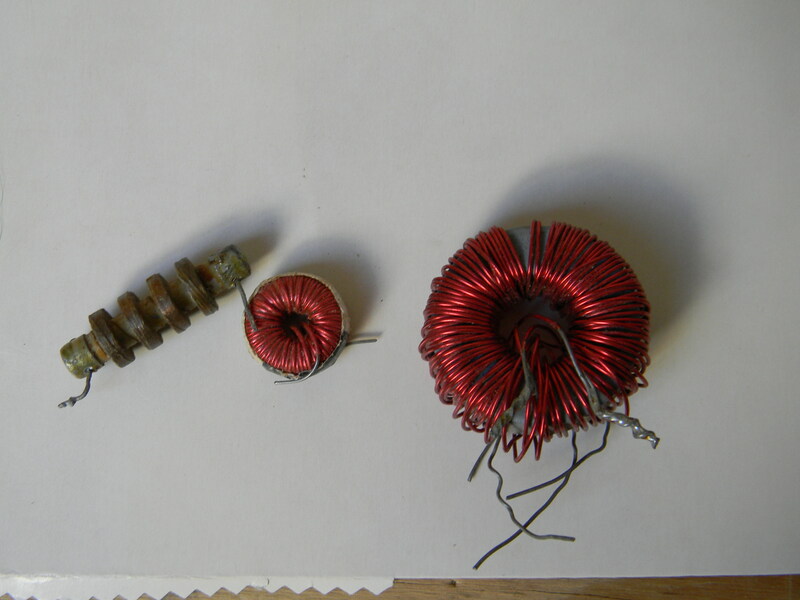 Other parts used might be inductors, some of which are on round cores called toroids. 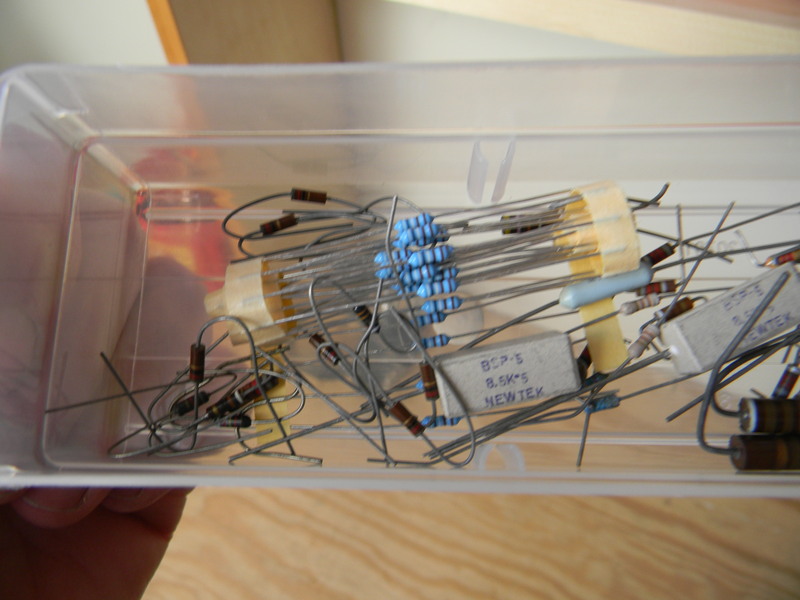 Every project has a few diodes, transistors, and maybe some integrated circuits. 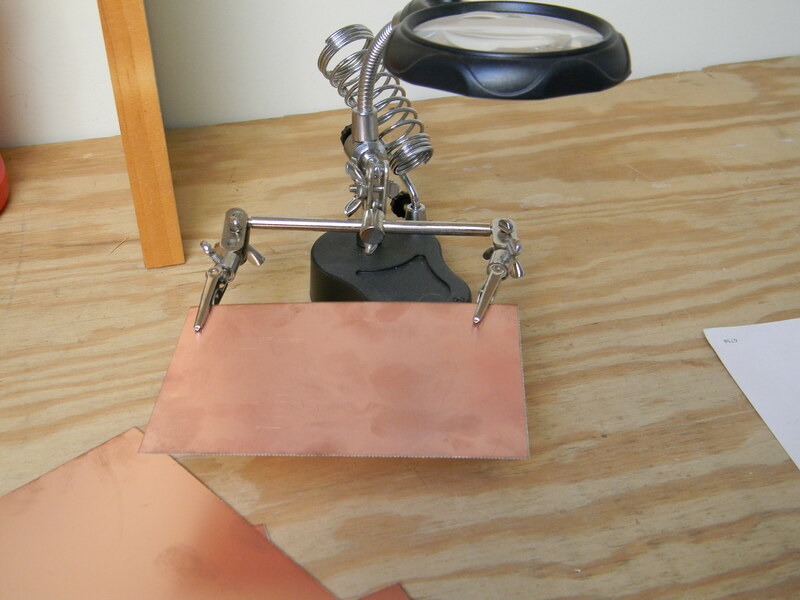 Once all the pieces are ready to go, I will take a plain piece of copper coated circuit board and start building. 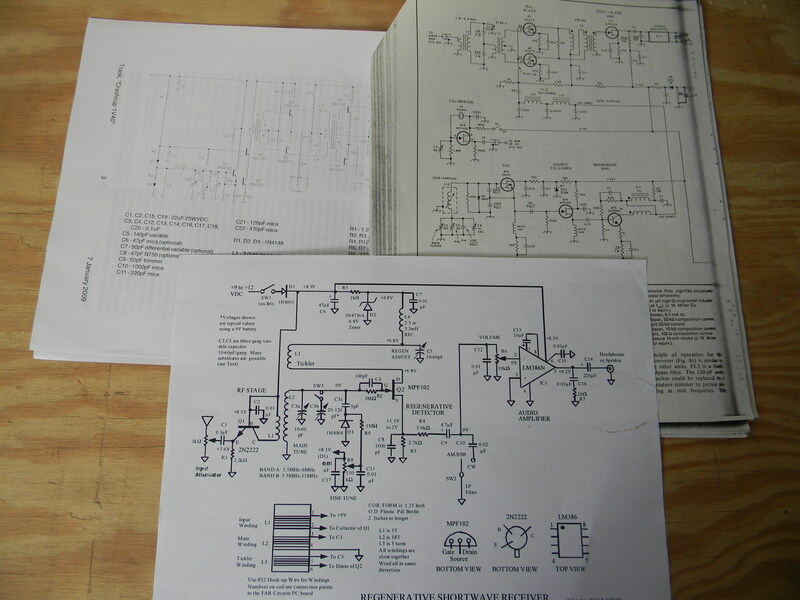 I have dozens of project plans and schematics in my filing cabinet and bookshelf. Now for another cup of tea while I decide which one to build. Looks good in there – I peeked in when I was home last weekend. 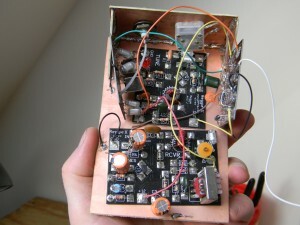 Any progress on the new radio yet? Planning is still happening, that is 50% of the project. New parts arrived too!